Please contact gallery for other available works. 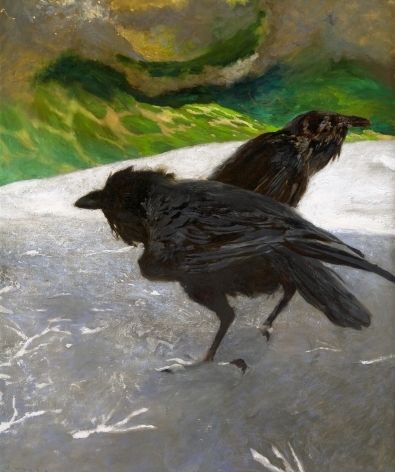 Jamie Wyeth, the second son of artist Andrew Wyeth, was born in 1946 and is the youngest member of the Wyeth dynasty. In recent years, he has spent much of his time year-round painting in Maine, first on Monhegan, in a house that formerly belonged to Rockwell Kent, and since the late 1980s on Southern Island where he lives in a restored lightkeeper’s house. Of the Wyeths, Jamie is, perhaps, the most closely attached and attuned to the island of Monhegan. It is situated ten miles offshore, with its dramatic headlands, crashing surf and picturesque harbor, and has long attracted artists including Robert Henri, George Bellows, Edward Hopper and Kent, among many others. 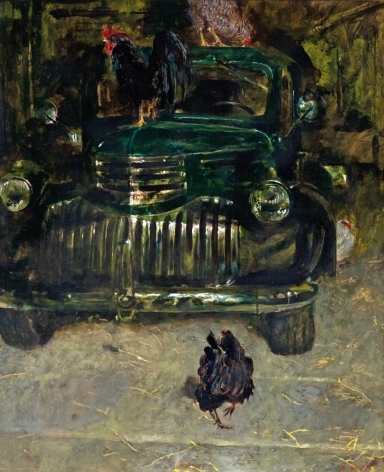 Jamie Wyeth’s Monhegan pictures, however, focus on portraits – portraits of people, but also portraits of houses, birds, sheep, and objects of everyday life that the artist imbues with individual identities and a strong sense of time and place. His series of portraits of young Orca Bates (and most recently, Orca’s younger brother Cat – both named for fish) are about change, transition and the complex emotional state between childhood and adulthood. 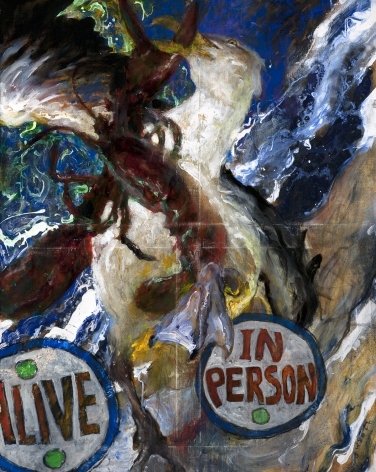 I n a sense these and other paintings of lighthouses, gulls, and anchors – the stuff of “tourist art” in lesser hands – along with Hard Rock Cafe T-shirts and homemade trash incinerators convey a more generalized portrait of Maine. It is the Maine where past and present collide with a strange, tense beauty and evocative power, where nature and man still live in uneasy harmony and increasingly precarious balance. Although their works vary widely in style and content, all three Wyeths have defined the image of Maine in the popular imagination. It is a vision that continues the enduring tradition of realism in America even as it transforms our understanding of that imprecise term. The Wyeths in Maine seem to respond most deeply to a kind of purity and “remoteness of spirit that is very moving,” found on the “shelving shores” and “snuff colored islands” so loved by N.C. and his progeny.